Whether you’re pitching up at a campsite, looking for a wild camping spot, or choosing a place to build a shelter, location is key to a successful (and dry) stay. 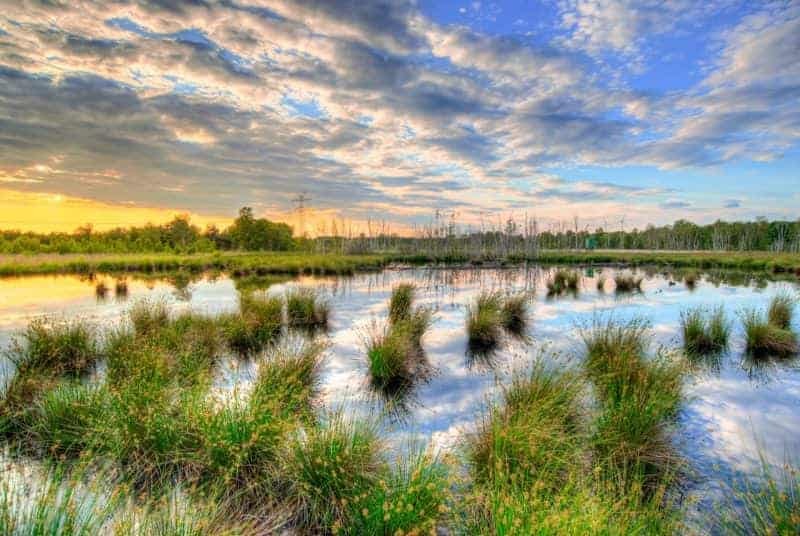 This includes making sure that you’re not pitching up on a floodplain, picking a wild camping spot that is used as a thoroughfare for animals or building a shelter in the middle of a patch of hogweed. These are the topics that we will be looking at in this week’s blog post, giving you tips on how to choose a site that’s suited to your needs wherever you are and whatever your level of skill. You can choose to read the whole post or click on the links below to take you to the section you’re most interested in. Camping is one of the best ways to get outdoors, closer to nature, and enjoy all that the UK countryside has to offer. It’s also a budget friendly way of enjoying a family holiday and a perfect gateway to wild camping or even shelter building. If it’s your first time going camping, or if you’ve tried it before and want to improve your experience, here are a few tips to help you to choose a good pitch. Choose a campsite that has the range of facilities you need. If you want a lot of facilities, such as washing machines, that make sure that the campsite you’ve chosen matches that. Likewise, if you want more of a rugged, wild, feel then choose a campsite without all the mod cons. A great way of getting started is by using a site such as Pitchup.com. 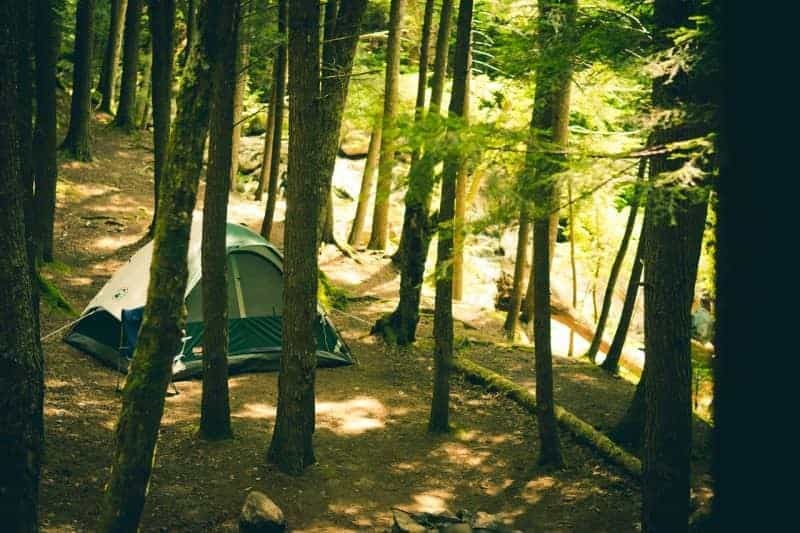 Accepting that there is no such thing as the perfect pitch is key to enjoying your camping experience, however, here are some tips to help you get started thinking about the location of your pitch. Think about how close that you are to the amenities, particularly if you have young children with you who may need to use the bathroom in the middle of the night. Likewise, if this isn’t a concern for you, you may wish to be further away to avoid disruption. Think about who your neighbours are, how they are likely to impact on your stay, and how you will impact on theirs. If you’re camping with young children, perhaps it would be better to be closer to other families who will understand the disruption that children can unintentionally cause. They will also be more likely to be in a similar routine to you, going to bed and rising early. Likewise, if you’re camping on your own or as a couple, perhaps you would want a spot that is quieter and offers more privacy. Let’s not forget that camping is not supposed to replicate your home. Sleeping under canvas is all about getting back to nature and experiencing something that little bit different. With that in mind, look for a spot that offers great views – after all, you’ve chosen to come here on holiday. Wild camping is about as close as you can get to truly being out and about in nature in the UK. There is little better than waking up in the middle of nowhere, brewing up a cup of coffee, and listening to the sounds of nature all around you. But first, a legal note about wild camping in the UK. Below is an outline as to the legalities of wild camping in the UK. Wherever you go, the most important thing to remember is to leave no trace. Wild camping is illegal in the most part of England and Wales without the landowner’s permission. There are areas of Dartmoor on which wild camping is permitted, click here for more information. In Scotland, wild camping is permitted under the Land Reform Act 2003, however, please note that there are some exceptions to this general rule. To read the Land Reform Act 2003 please click here. Wild camping is illegal in Northern Ireland without the express permission of the landowner. The Northern Ireland Forestry Service own most forests and they expressly ban wild camping. With that out of the way, it’s time to look at how to choose a wild camping spot in the UK. Assuming that you’ve considered all the rules surrounding your wild camping spot (Dartmoor, in particular, has a set of bylaws ) then there are several things to take into account. When it comes to water sources and wild camping it is something of a balancing act. Assuming that you’ve walked a fair distance to your spot and will walk a fair distance back out then it is unlikely that you will be able to carry all the water that you need with you. In this case, a nearby source of water can be vital. If you would like to learn more about purifying water in the wild have a look at our Weekend Bushcraft course. However, while a nearby water source can be vital for hydration it can also be a source of discomfort and even danger. Read on to find out more. Investigate any incidents of past flooding in the area that you plan to camp in. Check the map to see if your intended spot is in the middle of marshland and avoid areas that are near the intersection of several rivers which may overspill should the rain begin. Remember, water runs downhill so where possible avoid camping at the bottom of valleys, beneath steep cliffs and anywhere else that might cause water run off. You’re not the only one out there looking for water. 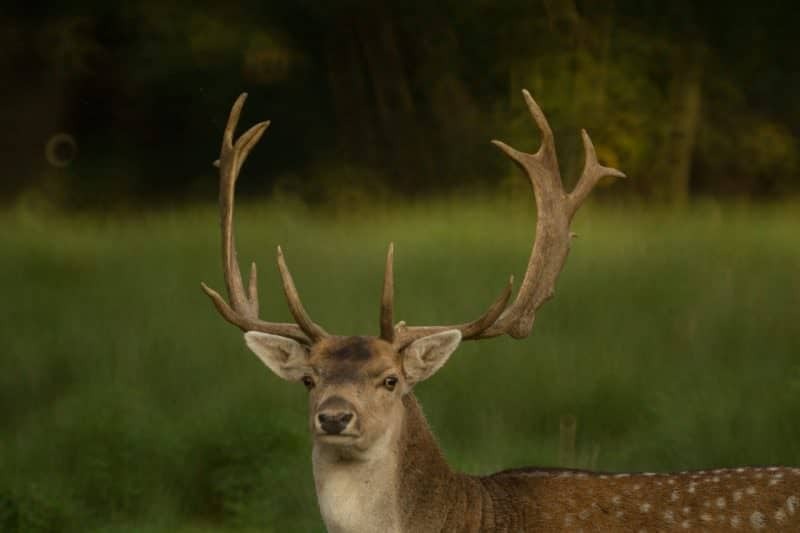 There are plenty of animals that are also going to be interested in nearby water sources and staying out of their way can be key to a peaceful evening. Look for signs of animal tracks heading towards the water source that you intend to camp by and avoid camping on them. Study the layout of the ground beforehand and when you get there. Choosing a spot nearby a line of trees, rocky outcrop, or in a slight dip (that is unlikely to flood) can help reduce exposure to the wind. Remember, a shelter is more important than views when it comes to wild camping. Avoid exposed ridges or hilltops where you’re exposed to the elements. Additionally, when camping next to trees look out for weak ones or dead branches that might fall in the middle of a storm. Remember, when choosing a location in which to build your bushcraft shelter in the UK, that it is illegal to be on private land without the express permission of the landowner. 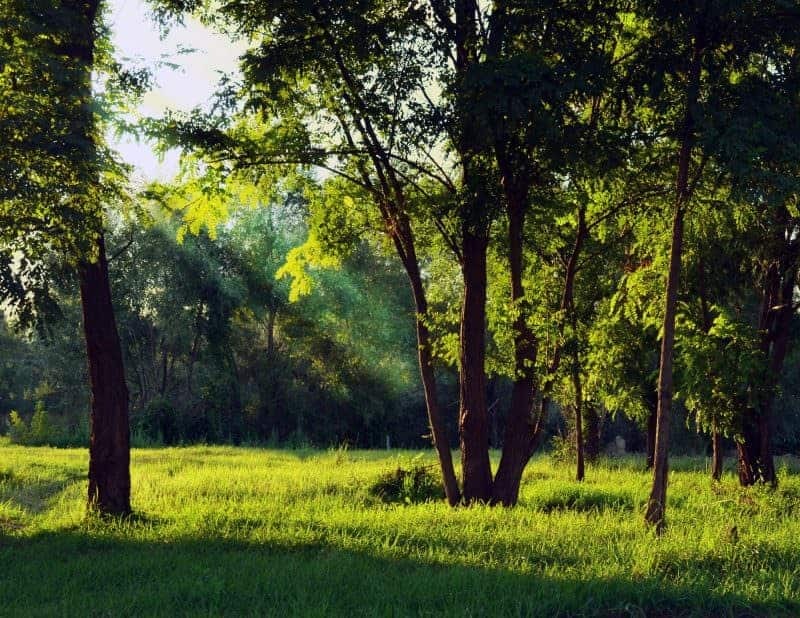 Any shelter that you do construct should be done so with minimum disruption to the environment and the natural surroundings, follow the principals of ‘no trace’. The best way to get started, and to practice, your shelter building is on a bushcraft course. Along with being able to light a fire and source water and food, building a shelter is real bushcraft and one of the most important skills that you can learn. However, bushcraft is about more than survival, it is about being comfortable and at home in the wild. Sign up to our Weekend Bushcraft course to learn more about shelter building as well as traps, tracking, fire lighting, campfire cooking and lots more. Building your shelter begins with choosing your location. Here are some tips to get started. The type of shelter that you build will be determined by the location in which you build it. 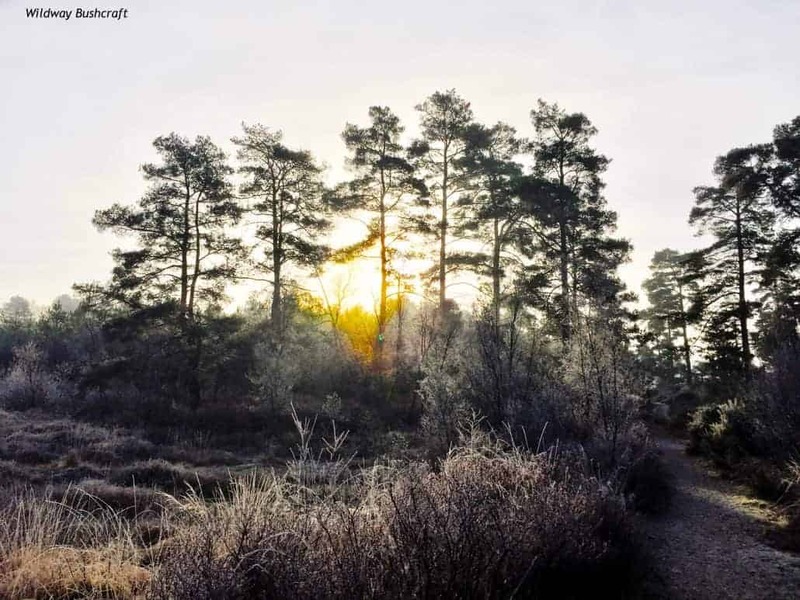 For example, a shelter on moorland would rely more heavily on natural features than a shelter in woodland. For the purposes of this blog, we’ll look at shelter building in the UK woods. Take time to search for the right location for your shelter, as you get more and more experienced you will be able to choose a site with greater speed. Look for natural constructs that can help you to build your shelter. Fallen trees are often cited as the ideal building block for lean-to shelters such as bivouacs. While shelters of this kind are a good option if you’re short of time and cordage, they can create wind channels, leading to drafts unless properly blocked up. Look for other natural constructs such as caves, cliff overhangs, and arbors which can provide shelter. Choose to build your shelter where natural materials are in abundance, both for firewood and for building your shelter. As with wild camping, select a site that is close to the water but not in the way of the local wild animals that use it as a water source. When choosing where to build your bushcraft shelter in the UK keep an eye on signs of prevailing weather trends. This will help you to position your shelter out of the main thrust of the wind and keep you protected from the elements. Take note of the appearance of the tops trees, those that look windswept will give you an indication of dominant wind directions. While the wind can change at any time it is also worth noting the direction of cloud travel just before constructing your shelter. If clouds are not visible, e.g. you’re in heavy woodland or there are no visible clouds etc. then look for other tell-tale signs such as the direction in which the grass is moving. Look for unwanted visitors such as ants and wasps nests which can seriously impact on the enjoyment of your bushcraft experience. Look for flight paths, that is large numbers of wasps going back and forth from one location to another. This will help you to identify if there is a wasps nest in the vicinity. Nests can be both underground and aboveground. Those underground are much more difficult to locate as they are typically covered with leaves or other debris. Above ground wasps typically look to build their nests in dead wood, or in trees. Keep an eye out for wasps and, though they are unlikely to bother you, it is best to choose another location if you can. Wood ants, typically found in the southern most areas of the UK, build their nests in managed woodlands; particularly in coppiced woods and well-maintained clearings. Their nests are typically dome shaped and are built facing south. Trails of ants will be visible going back and forth between the nest and sources of food. The ability to correctly identify plants is a vital bushcraft skill. To learn more about plants and in particular foraging in the UK sign up to our Weekend Bushcraft course. Aside from stinging nettles, there are other plants to look out for when choosing a location for your bushcraft shelter. Here are some poisonous plants to look out for when building your bushcraft shelter in the UK. 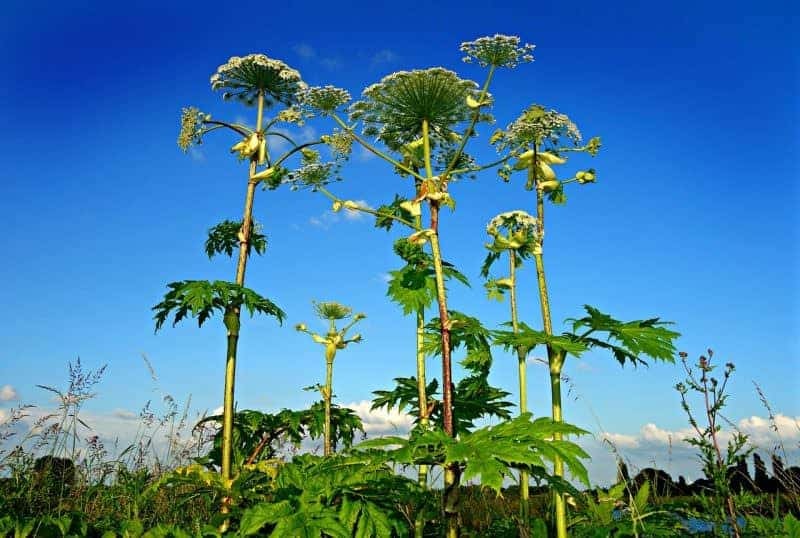 Giant hogweed, which can grow to over three metres tall, is a relatively close relative of cow parsley. Originally from Southern Russia and Georgia, it can now be found across the UK in woodland, heathland or common land. It is most commonly seen from spring through autumn. Contact with the skin causes irritation through making it sensitive to sunlight. Native hogweed (Heracleum sphondylium) though smaller than its invasive counterpart, can also cause irritation, though this is not as severe as that caused by giant hogweed. Lords and Ladies, which is also known as ‘cuckoo pint’, can be found in woodland and along the edge of hedgerows. 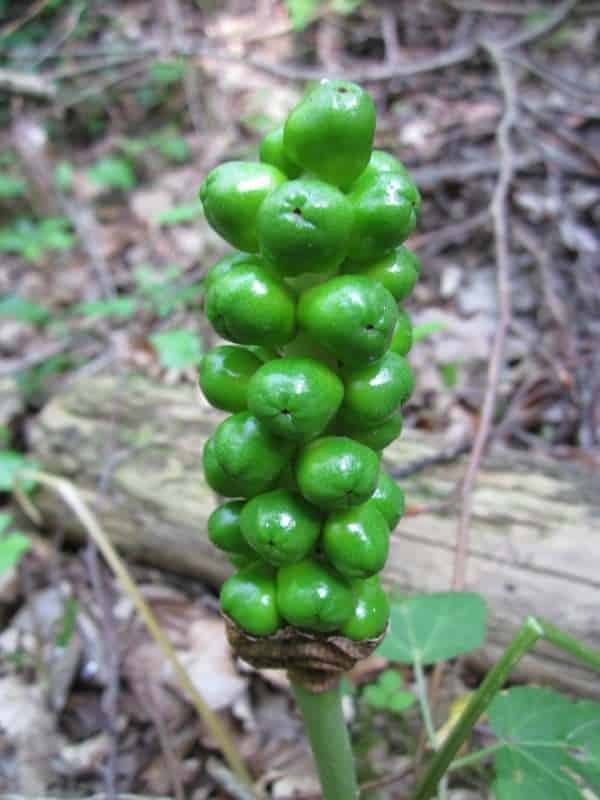 The berries of Lords and Ladies are particularly poisonous, resulting in breathing difficulties, burning pains and an upset stomach. The plant itself is also an irritant if brought into contact with skin. This means that care must be taken when handling it as doing so can result in an allergic reaction. 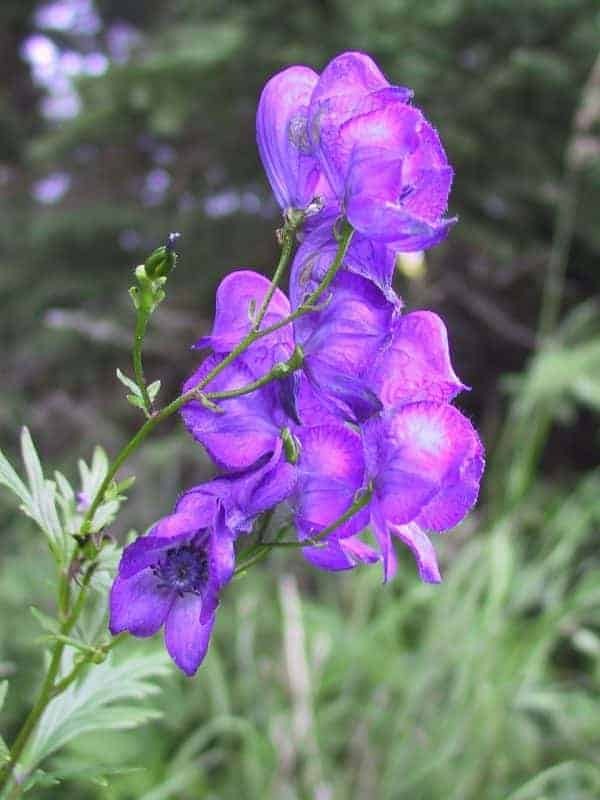 Monkshood is also known as ‘Adam and Eve’ or ‘Devil’s Helmet’. It is particularly prevalent in the southern half of the UK in damp woodlands and meadows. The plant is highly poisonous and its toxins can be transferred through the skin via cuts. Sign up for a course at a bushcraft school to practice shelter building in the UK. At Wildway Bushcraft we offer a weekend bushcraft course which covers all the basics of bushcraft and survival skills. The course is suitable for adults and children and is a great way to spend time with friends.